Tatau was simply a service tool for struggling artist juggling the sales leads while still working hard during the 9-5 hustle. If a user can help manage them self by providing payments and availability. All the artist has to do is crank out work. 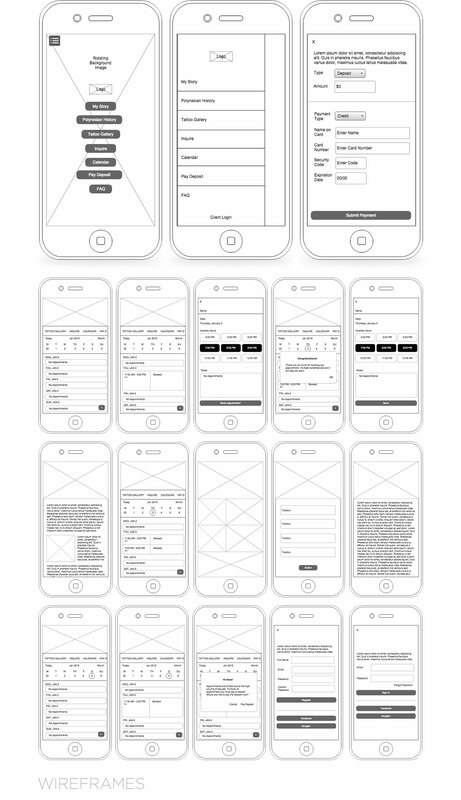 The wireframes were done in two stages. 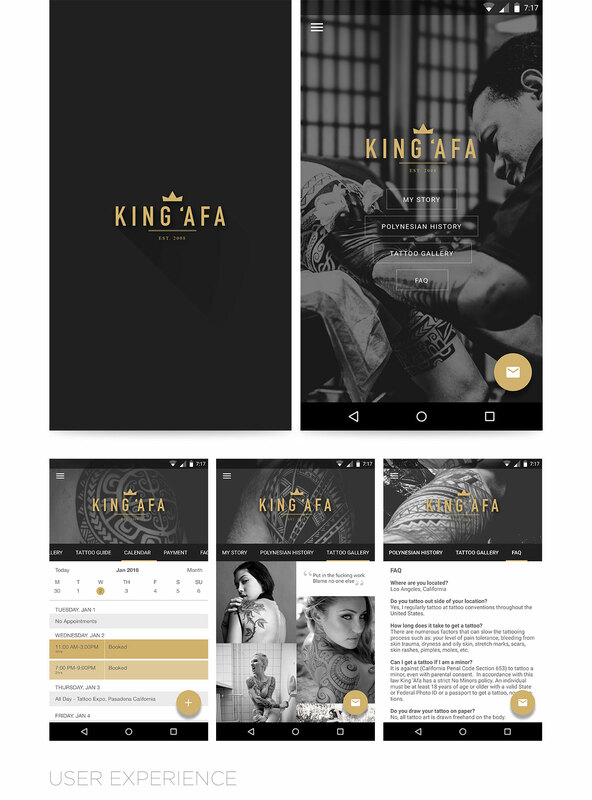 Stage one was to build the artist's portfolio app. This would give the new customer an exploded view of the artist story, gallery, and his culture. Stage two was built to enhance the app by allowing payment of deposits and scheduling appointments. Taking cues from the Material design spec, the Android version of the app was designed to be simple and utilize all the current standards that Google put in place. 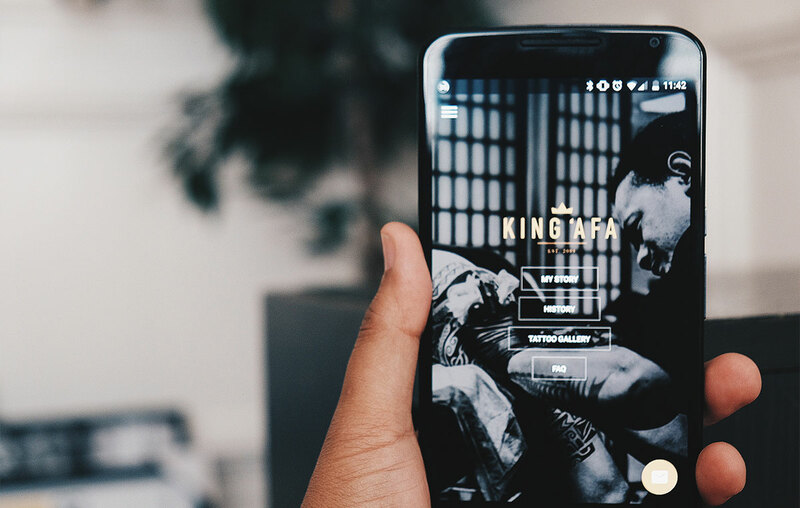 Native animations and functions were implemented to not only speed up the development process but also add to the clean style the Material design adds.